On this page you’ll find links to the main Stroud Homes social media profiles. 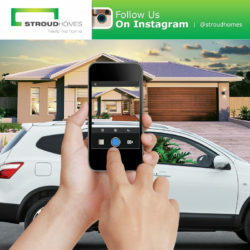 Individual Stroud Homes locations may have their own profiles so be sure to choose a region and check their social media profiles. 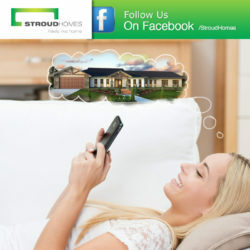 Stroud Homes has been on Facebook since June 2011 and in that time we’ve developed a huge following. We’re regularly updating our Facebook timeline with exciting news from the building and interior design world, as well as updates on new designs, features, customer handovers and great offers. 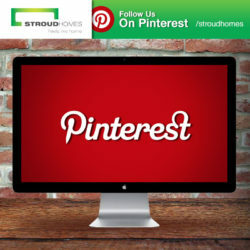 Join Stroud Homes on our favourite online pinboard – Pinterest! Check out our boards which cover building design, interior design, inspiration, plans and customer handovers. Like to see great design inspiration? If Instagram is your thing then join us on this great photo sharing platform. Short, sharp and always on message! 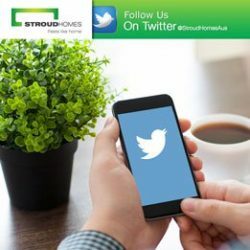 Join us on Twitter for news and updates on Stroud Homes.